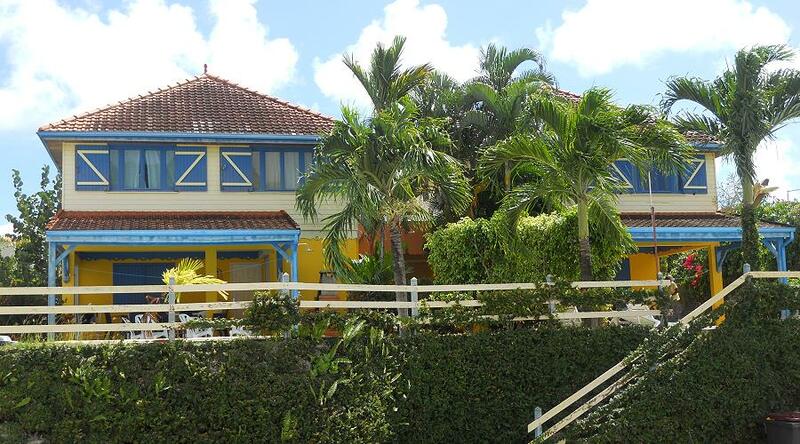 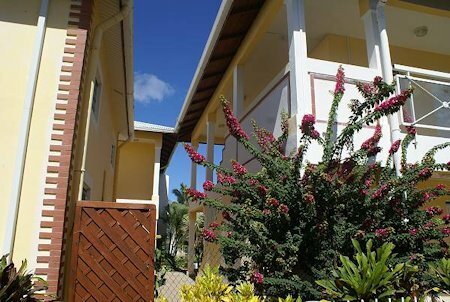 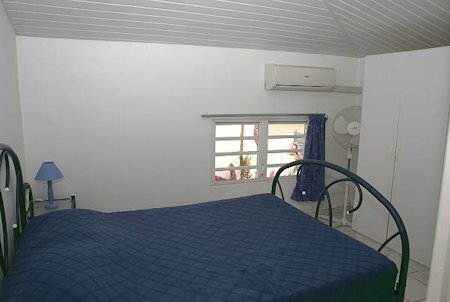 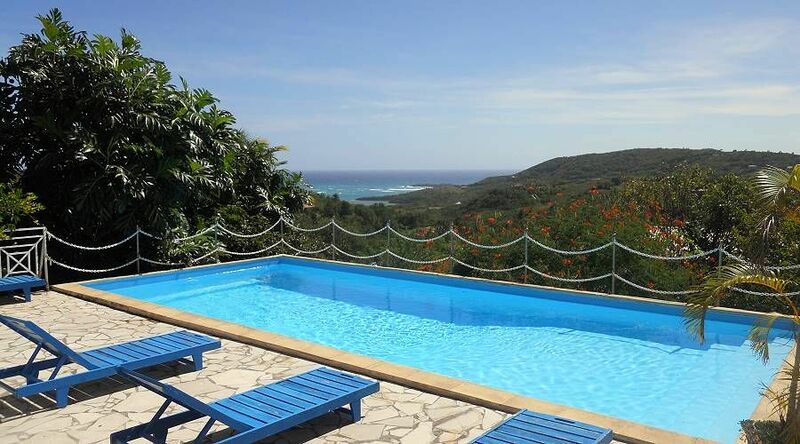 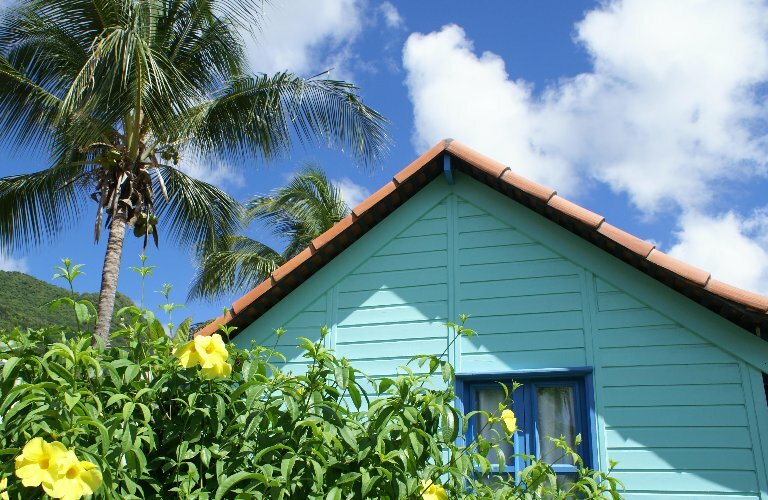 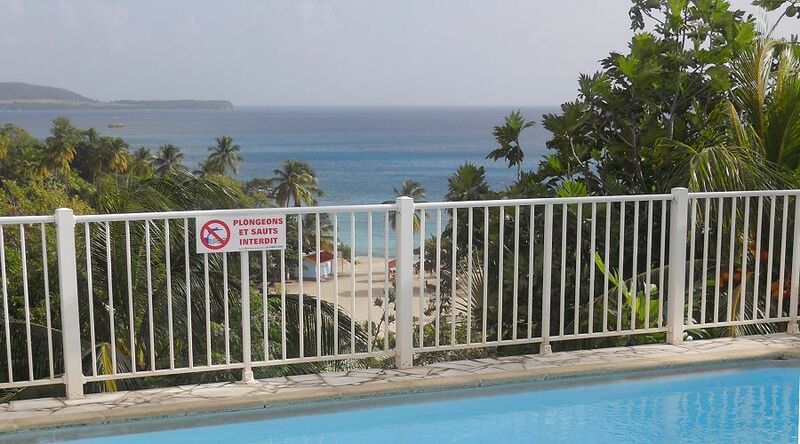 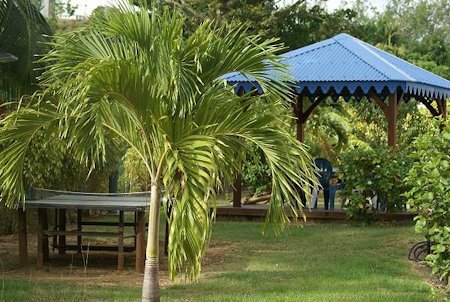 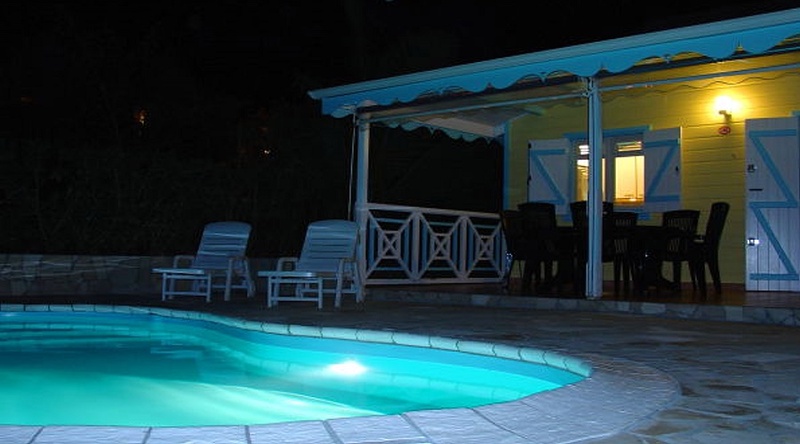 The Residence Les Créolines is located a few hundred meters from the center of Sainte Luce and several beaches on the Caribbean coast, within easy walking distance. 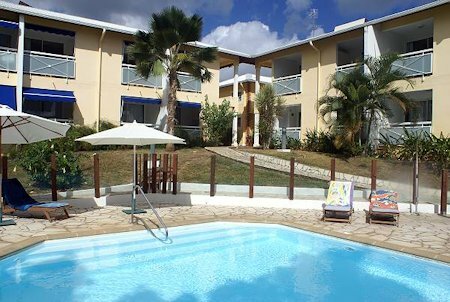 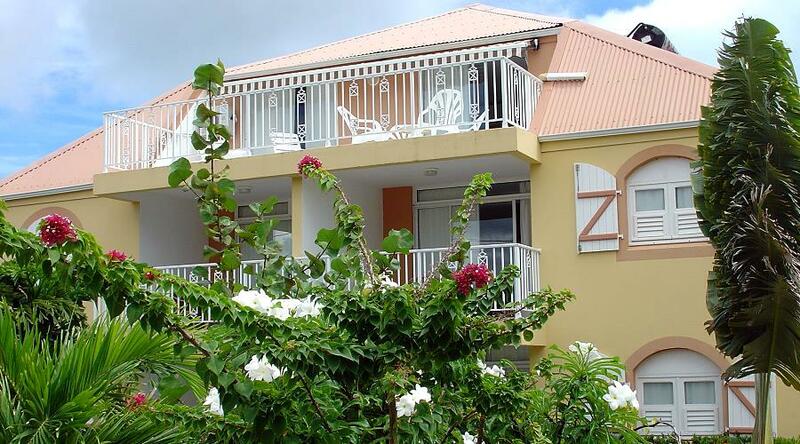 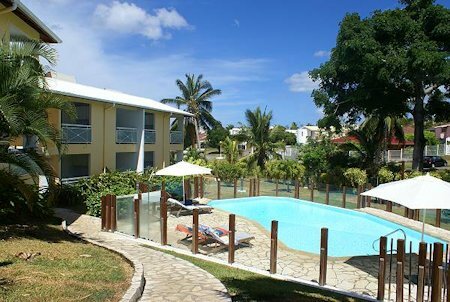 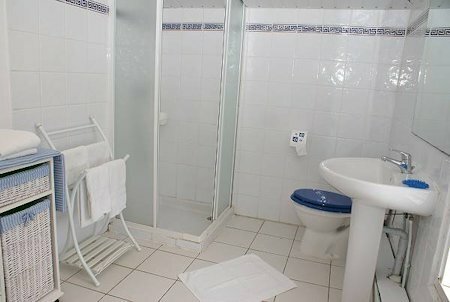 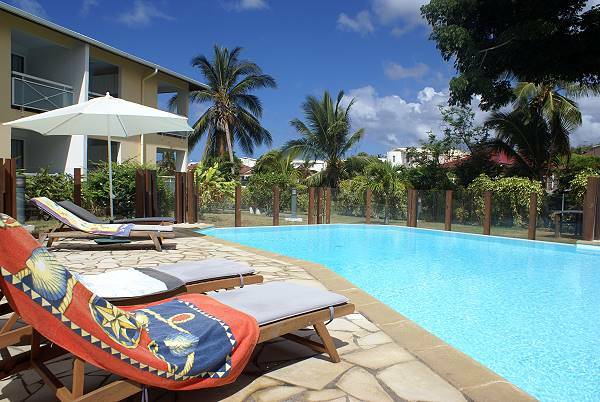 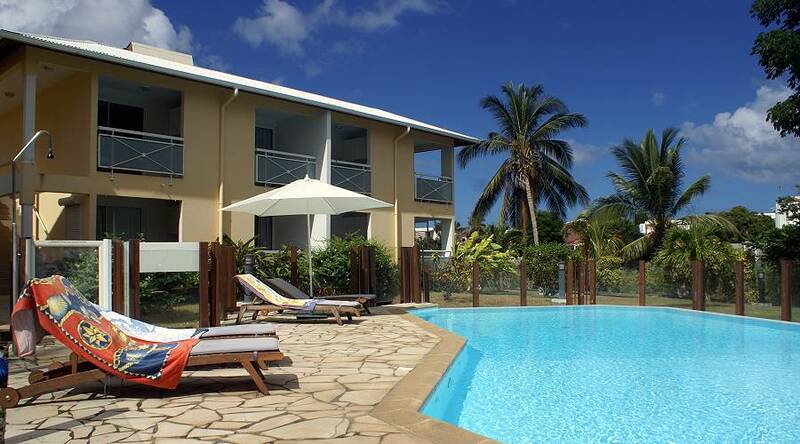 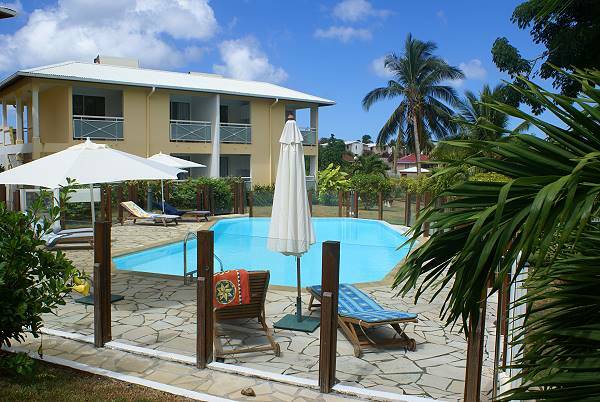 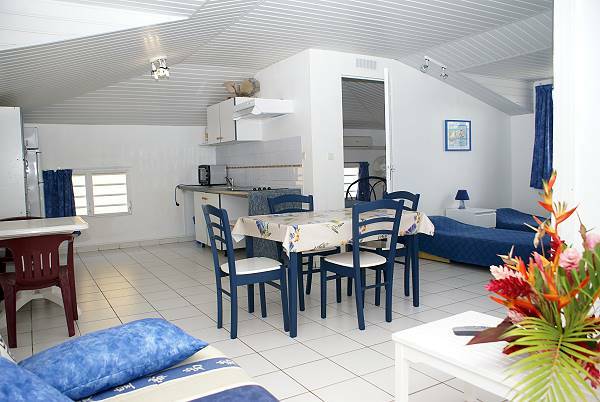 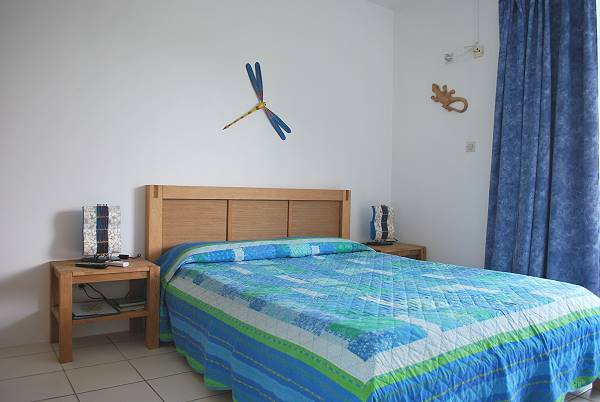 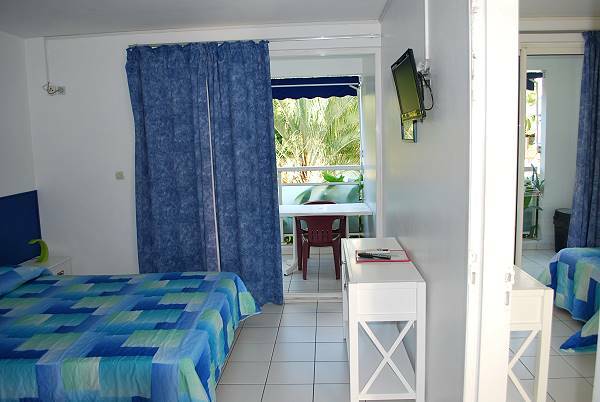 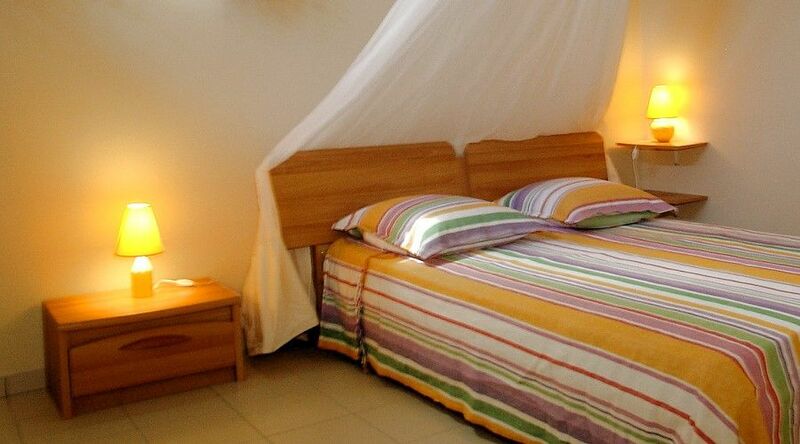 It has 26 studios for 2 people and 1 apartment for 5 persons, with a beautiful tropical garden with pool. 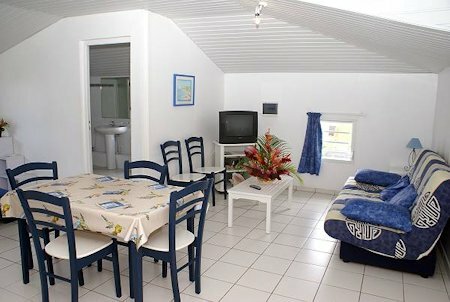 All studios have a terrace and look onto the tropical garden and pool. 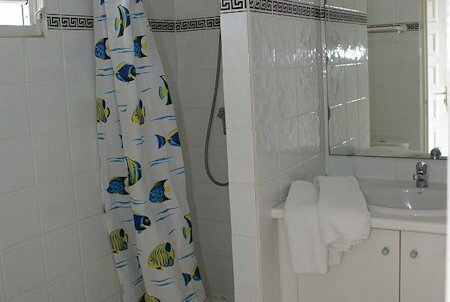 They have a double bed or two single beds, bathroom with shower, kitchenette on the terrace, equipped with table and chairs. 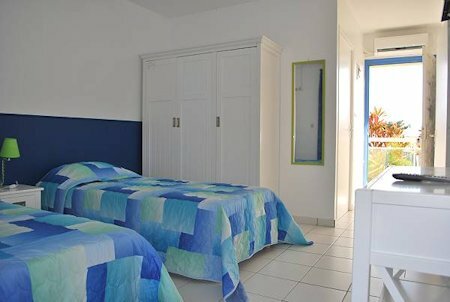 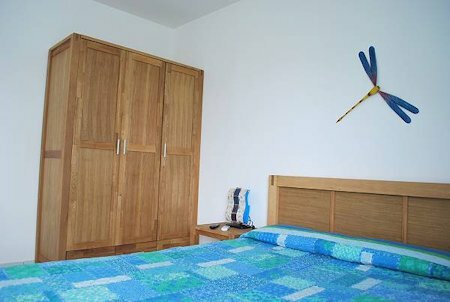 The studios can be connected to accommodate families up to 4 adults. 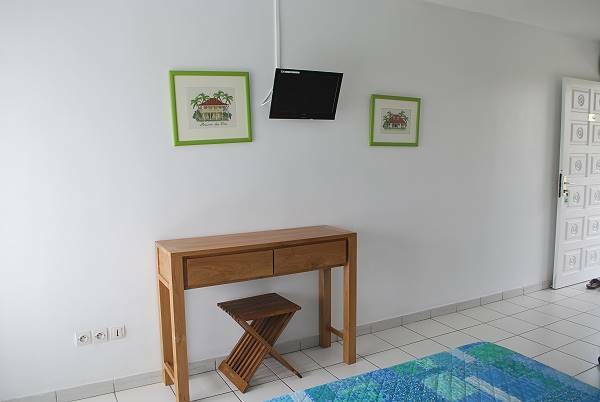 Two studios are designed to accommodate people with reduced mobility. Apartment of 50 sqm, can accommodate up to 5 people. 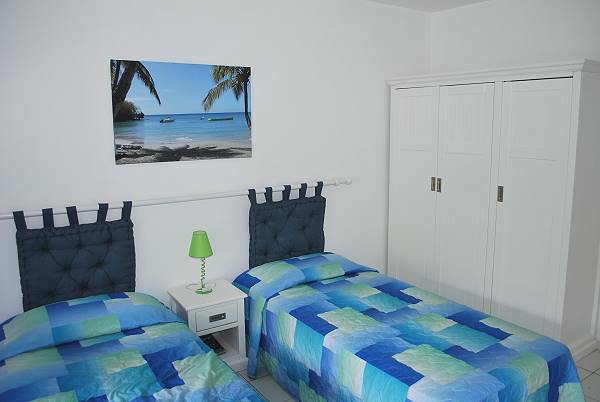 Bedroom with double bed, bathroom, kitchen, living room with two single beds and a sofa bed. 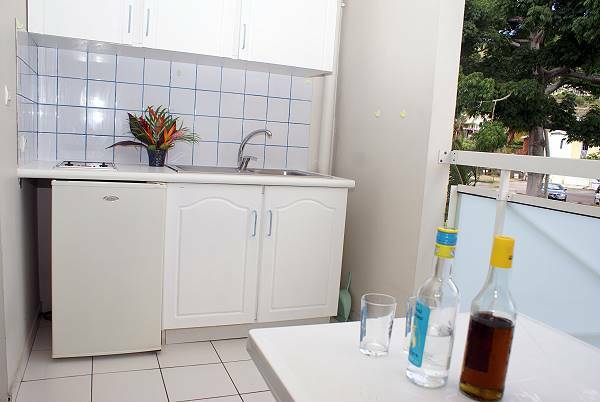 On request mocha and microwave are supplied. The linen and bath towels are changed regularly, on request are provided beach towels. BBQ, ping-pong, bowling alley, books and board games. 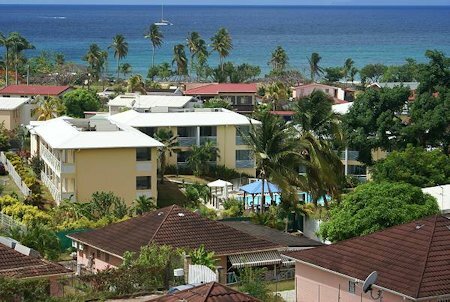 In the village of Sainte Luce there are many shops, restaurants, as well as pharmacy, post office and bank. In the nearby beaches there are some restaurants and bars.